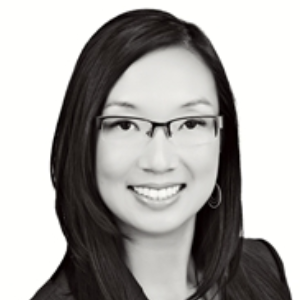 Rebecca is a Portfolio Manager with TD Wealth Private Investment Counsel. Her expertise is working with clients to create a customized discretionary wealth management solution tailored to each unique client scenario. Rebecca has over 15 years of experience in the financial services industry, dedicated to working with individuals and families, corporations, not-for-profits, estates and trusts. Rebecca's team tailors to each individual client situation, regardless of complexity, with the attention and diligence that they deserve. Her team provides investment management solutions and services drawing upon the expertise of TD specialists to create an integrated and comprehensive plan for their clients. This can include, but is not limited to estate planning, tax planning, business succession and insurance needs. Rebecca holds the Chartered Financial Analyst (CFA) Designation and the Canadian Investment Manager (CIM) designation. She is licensed in Ontario, Quebec and British Columbia. In the community Rebecca is involved in several not-for-profit organizations, but spends most of her time on the Board of the Royal Ottawa's Volunteer Association and serves on the Investment Committee of The Ottawa Hospital Foundation.